None of the songs by Spirit had lyrics that I really connected with. Their strength of their music for me was the moods it captured. When I listen today, the vivid memories it brings back make it easier to empathise with my own children. Some 60's and 70's music contains powerful images and aphorisms. My favourites from Leonard Cohen are "Where do all these highways go, now that we are free?" That line comes from "Stories of the Street". I have spent a lot of time contemplating that song and reflecting on what I have bartered my freedom for. Another beautiful line from a Leonard Cohen song, "Sisters of Mercy" is as follows. "If your life is a leaf the seasons tear off and condemn, they will bind you with love that is graceful and green as a stem." The mere thought of such love existing gives it reality. Some other lines from that song capture the essence of various moods. "It's you who must leave everything that you can not control." There is another line that captures a depressed, spiritually sluggish mood very well. "When you're not feeling holy, your loneliness says that you've sinned." Sometimes a singer will give words to a feeling that eludes definition. Leonard Cohen songs do that very well. There is one country song by Don Williams that deals with reaching into popular song to give words to one's feelings. "Listen to the Radio" captures that mood very well. One has to wonder when the music stops and where one's own feelings begin. James Taylor deals with that question in "Riding on a Railroad" and "Hey Mister That's Me Upon the Jukebox." "We are riding on a railroad, singing someone else's' song." raises the question for me of whether I am really independent in my thinking or somehow being shaped and directed by trends and popular moods. The best way to define this uneasy feeling would be to say that I have boarded a train of thought that seems all too crowded. 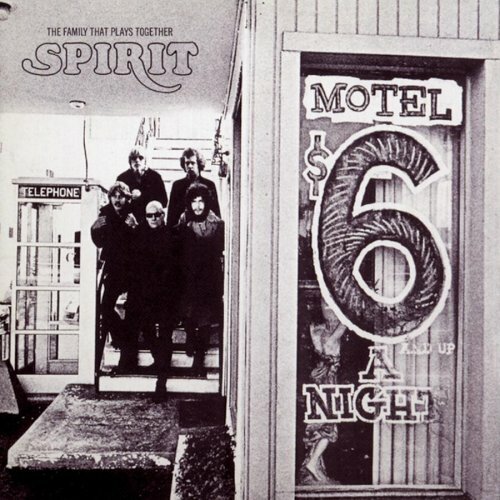 I don't know what moved me to check out Spirit and to download their songs. When raising a family, I find that it helps to look into my past and to remember how I felt when I was younger. Old songs almost forgotten are very helpful in doing that. I have little doubt that I might see things in songs that were in no way intended by the author and the composer. Each person who listens to music attaches different feelings, images and memories to it. In a sense, one recreates a song as one listens to it. I wish "Spirit" success. I hope that more people discover and rediscover their contributions to the music of the 60's and 70's.